. :: CAIRO FARRIER BACK IN EGYPT ::. AS A RESULT OF THE RECENT REVOLUTION IN EGYPT (ARAB SPRING – JANUARY 2011) AND THE CHANGE IN GOVERNMENT, THE NUMBER OF TOURISTS VISITING THE PYRAMIDS HAS DROPPED DRAMATICALLY AND THE PYRAMID HORSES THAT THE TOURISTS USE TO PAY TO RIDE AND VIEW THE PYRAMIDS HAVE EXPERIENCED A HUGE LOSS OF CUSTOM. SEVERAL HUNDRED OF THESE HORSES WERE ALREADY IN VERY POOR CONDITION AND NOW, WITH NO TOURISTS OR WORK FOR THEM TO PERFORM THEY ARE SUFFERING. 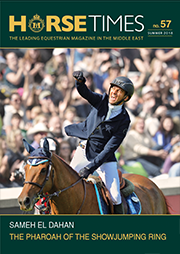 THE FARRIERY AND GENERAL HORSE HUSBANDRY IS WHAT WE ARE ADDRESSING. Devon based farrier Kris Parsons and his apprentices (Cairo Farrier) from the UK went out to Cairo in March/April 2012 to help with a group of Vets and equine dentists from New Zealand (Kiwi Care Team). The trip was a great success and we are in the process of planning return trips hopefully every 3-4 months to help with farrier education for the working horses. The majority of these problems we feel have stemmed from the lack of farrier attention. We worked alongside ESAF (Egyptian Society of Animal Friends) and through them have a made a solid base with the local farrier Mizo and vet Dr. Mohammed Abd-Elhay who are keen to learn and practise Western skills. 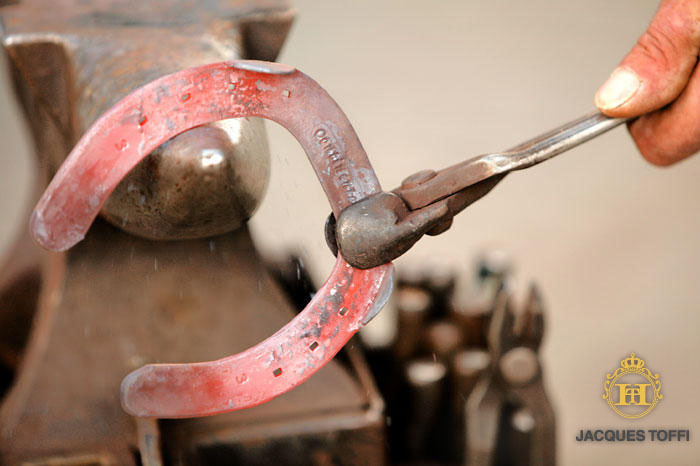 In the long term we would like to implement a certificate of competence for the farriers in the area. The next trip is planned for October 2012 and this is where we need your help. We are running an on-line auction at the end of August via our Face book page. We are looking for items and “promises” to auction (we also need your bids on these items), there will be a lot of fantastic lots including lessons with Caroline Powell, New Zealand Olympic Team 2012 Event Rider, Ollie Hipwood - 6 goal polo player who’s captained England to many victories, commissioned paintings from fabulous equine and animal artists, and a portable Horse Shower from ShowerKing amongst many others. As well as the auction we desperately need farriery and veterinary equipment, mostly horse shoes new or what we would deem fine for refits in sizes 4½ -5 ½ inch, rasps, hoof nippers and road nails, swabs, blue/purple antibiotic spray, wound powder and hypodermic needles. Of course, financial donations are also very welcome to help fund the trip for the farriers who are taking time out of their very busy schedules. The amount of support we have had already is more than we could expect, but we still need your help with donations, bids on our online auction or ANY of the above items – any support will be gratefully appreciated. DONATIONS CAN BE MADE VIA OUR 'CAIRO FARRIER' BANK ACCOUNT via CHEQUE or BANK TRANSFER. 'CAIRO FARRIER' Lloyds TSB, Risbygate Street, Bury St Edmunds. SORT CODE 30-64-22 ACCOUNT NUMBER 24729168. HORSE TIMES readers, come and meet us and if you wish for your farriers to learn some new methods and to receive training about the anatomy of the lower leg of the horse and the hoof; we would be delighted for you to come along.